Join Chicago-based botanical and floral designer Leann Dameron of Leelee’s Garden for hands-on, DIY classes at the Chicago Artisan Market on Sunday, March 10, 2019 at Morgan MFG (401 N. Morgan St., Chicago). 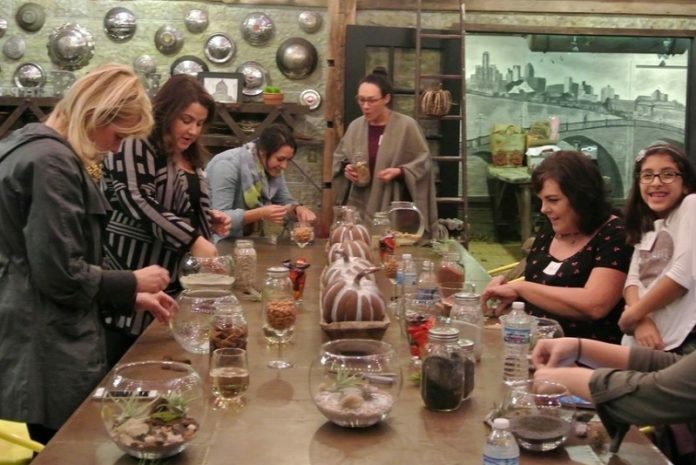 When you book a DIY class, you also get complimentary General Admission to the Chicago Artisan Market, a curated indoor market featuring 100+ of the Midwest’s finest artisans in food, fashion, home goods + art. 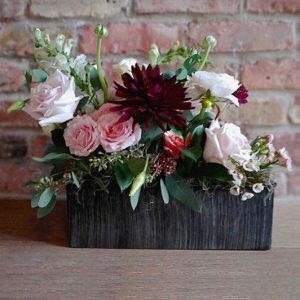 At this workshop, you will learn how to turn ordinary flowers from the supermarket (and a few special additions provided by Leelee’s Garden) into eye-catching designs for your home. 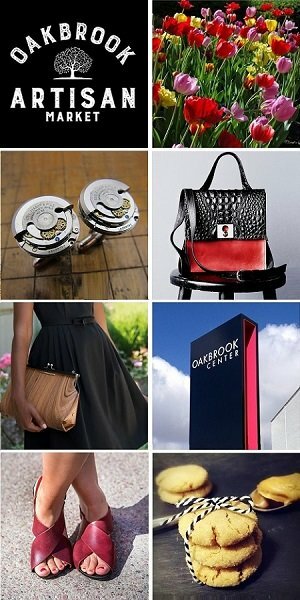 You will walk away with your own unique design to enjoy all week long. All flowers, greens, container and tools are included as part of your class fee. Your $45 class fee includes complimentary General Admission to the Chicago Artisan Market from 10am-4pm on Sunday, March 10, 2019. Sign up here. Leelee will have a mix of flowers and greens in a “flower crown bar” for you to pick from. She’ll walk you through the steps of assembly, and you will make your own fresh flower crown. 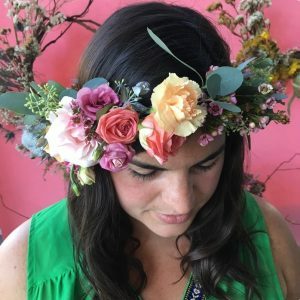 Perfect for bridal showers, baby showers, weddings, music festivals, photo shoots and craft nights, flower crowns are for everyone! 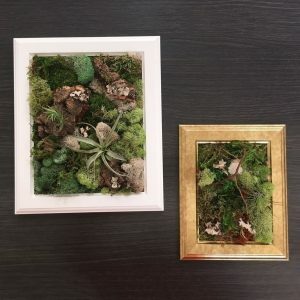 In this workshop, you’ll learn how to collage with moss, bark, air plants and other natural ingredients to make a framed plant “painting” that can hang on a wall or sit on a desk. Your new moss art piece is sure to start conversations and remind you of nature every day. You will have the option to create a living vertical garden by adding air plants, or you can chose preserved materials if you don’t want to maintain a garden. Leelee’s Garden will provide all materials, instruction and one-on-one help throughout the workshop. 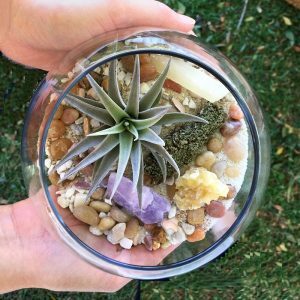 Stop by the Leelee’s Garden booth at the Chicago Artisan Market on Sunday, March 10, 2019 and the team at Leelee’s will help you create your own custom Gemstone Terrarium. Fee includes all materials needed to complete your project. Class fee varies based on the size of terrarium selected. Your class fee includes complimentary General Admission to the Chicago Artisan Market from 10am-4pm on Sunday, March 10, 2019. Sign up here. 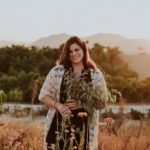 Leann Dameron, owner and floral/botanical designer of Leelee’s Garden, teaches hands-on craft workshops for both public events and crafty private parties, event floral design and botanical installations. She interned as a Master Gardener at the Chicago Botanic Garden which affirmed her belief that plants and flowers have the power to transform. Leann aspires to inspire you to create your paradise and to craft your own version of a botanical life.